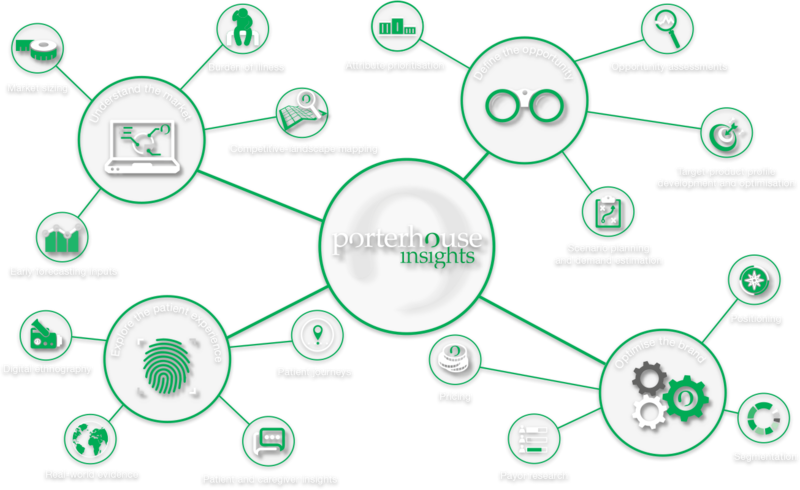 Porterhouse Insights is a nimble and agile global research consultancy within the Porterhouse Medical Group, established to generate actionable insights to meet evolving client needs. 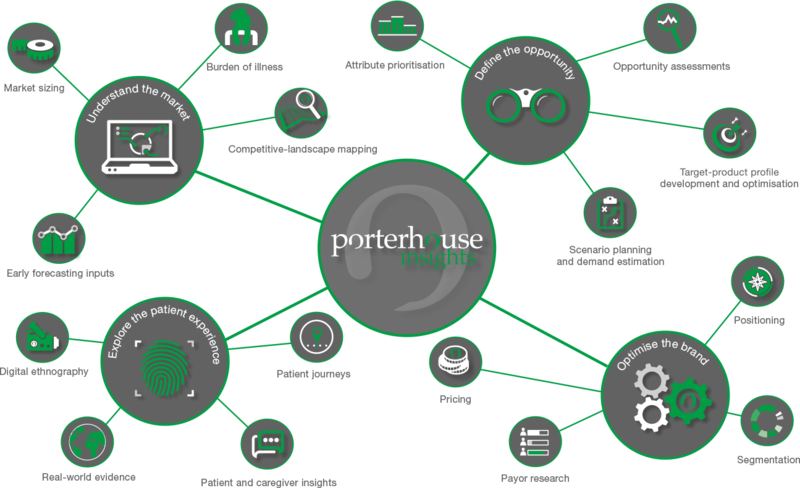 Porterhouse Insights is the research, insight and evidence consultancy of Porterhouse Medical, an award-winning global medical communications business established in 2002. With a deep commitment to behavioural science – from applying theoretical principles to exploring the human motivations that drive behavioural change – our mission is to optimise decision-making through the generation of clear insights and evidence across the product life cycle. 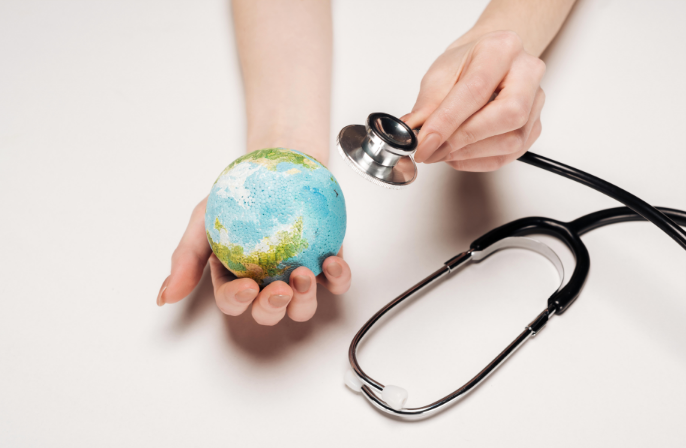 We leverage a wealth of tools and technologies to design nimble and agile ‘real world’ research solutions for biopharmaceutical clients, facilitating the generation of actionable insights with a clear focus. However, generating new insights is only half the story; it is critical that these are then communicated via compelling and engaging narratives to ensure enduring value and commitment from key stakeholders. 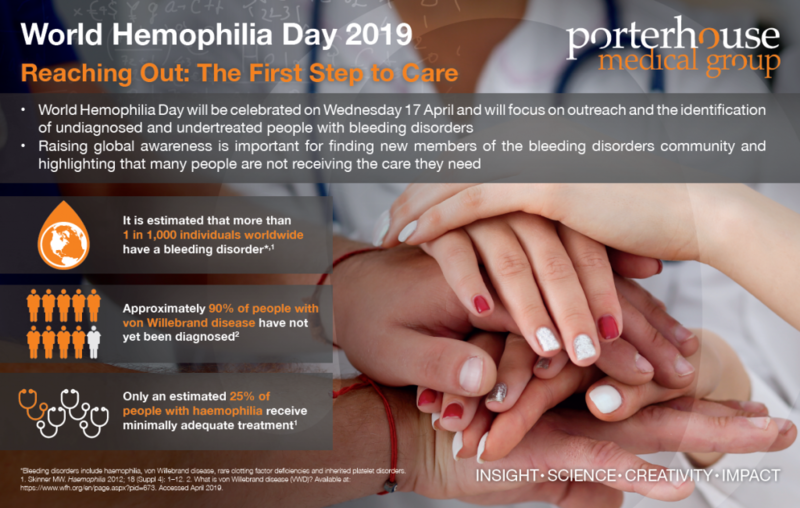 With an in-house team of expert medical writers and creative designers, our research outputs are brought to life in a range of innovative ways.